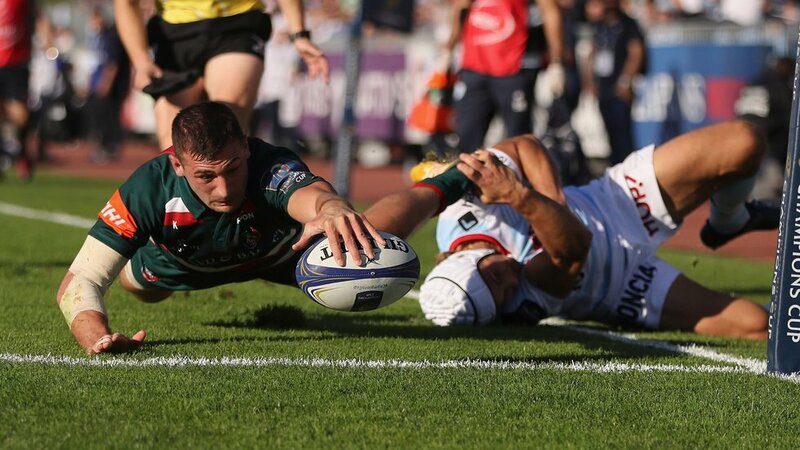 Leicester Tigers took a bonus point in a 22-18 defeat against Racing 92 in the opening game of the club’s 21st European Cup campaign at the Stade Yves Du Manoir in Paris on Saturday. A try from Luke Hamilton in the opening minutes gave Tigers a perfect start in Pool 4 of the European Champions Cup, but Racing showed their ruthlessness as well as their physical strength in adding three first-half tries in response with man-of-the-match Leone Nakarawa involved in all three as they built a 19-10 lead. Tigers, though, fought back with a seventh try of the season for Jonnny May shortly before half-time to cut the deficit to just four points. The second half remained just as tight with a penalty from Racing stretching their lead but neither side able to finish off the opportunities created before George Ford’s penalty with just three minutes remaining brought Tigers back within reach at 22-18. 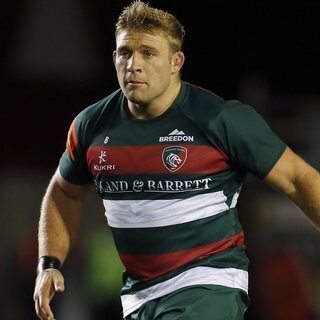 Head coach Matt O’Connor recalled Graham Kitchener to the starting line-up after an eye injury, with Hamilton, Telusa Veainu, Ben Youngs, Ellis Genge, Tom Youngs, Mike Williams and Matt Smith all back in the XV while Nick Malouf makes his European Cup debut after three tries in his first six appearances for the club. Tigers kicked off, facing into the autumnal sunshine, and the match was just three minutes old when Hamilton provided the opening score. 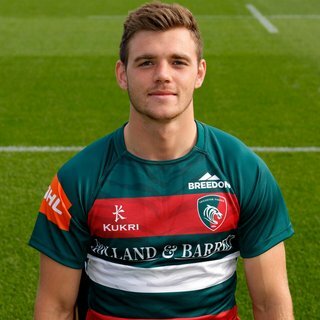 A tap penalty from scrum-half Youngs initiated an attack from halfway and, although it looked like the opportunity had gone after a loose pass from George Ford, Malouf picked up again and charged into the Racing 22 and Hamilton timed his run perfectly to burst through a gap and score. Ford added the extras for an early seven-point lead. South Africa international Patrick Lambie was added to the Racing backline just a few minutes later as Juan Imhoff limped off, and Tigers maintained their pressure in possession and then Joe Rokocoko into conceding a lineout five metres from his own line. The visitors failed to execute off the lineout, though, and Racing cleared. Racing threatened for the first time on 11 minutes with a break by Lambie but Tigers latched on to loose ball and survived the scare when Ford cleared. 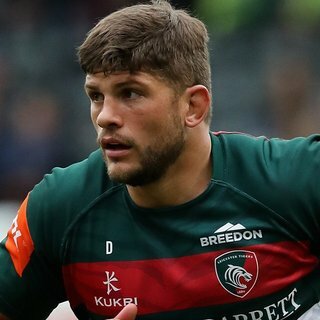 Tigers were then penalised at a breakdown just as they were looking to start a counter-attack but Racing scrum-half Teddy Iribaren kicked wide from 45 metres. The home side, however, were starting to build a head of steam and claimed three tries in the space of just 11 minutes. First, they were denied by the TMO when they were held up over the line with Census Johnston in possession. Although the verdict was no try, play remained five metres out from the Tigers tryline and Racing made the most of the put-in at the scrum and quick recycling for Nakarawa to reach out and plant the ball down one-handed on the right. The conversion from Iribaren levelled the scores with 22 minutes gone. Tigers had an immediate response when Ford added a penalty from just outside the Racing 22 after some big carries among the forwards as Tigers led 10-7. But Racing used their physical strength to score again and take the lead for the first time with a try from Bernard Le Roux after Nakarawa had again managed to offload in contact. The referee had to check the footage again before awarding the score, with the conversion making it 14-10 with just under 30 minutes played. Another score quickly followed as Nakarawa popped a pass out to the right where Tigers were short-handed and scrum-half Iribaren lifted the scoring pass out for wing Teddy Thomas to run in and stretch the lead to 19-10. The hosts were quickly down to 14 men when centre Virimi Vakatawa was sin-binned for a high tackle on Malouf after a 50-metre break by Veainu and Tigers made the most of the chance with a second try. The forwards provided a platform for the attack and Toomua’s passed the ball out for May to score on the left. Ford was unable to add the extras from wide on the left but Tigers were back within striking distance at 19-15. Good work from Williams, charging up the left, and then two big interventions from Sione Kalamafoni looked to have created another score, but Matt Smith had the ball dislodged from his grasp as he attempted to reach into the left-hand corner in the last action of the half with the hosts still four points in front. Racing had the chance to fire the first shots in the second half when Tigers were penalised for a high tackle on Remi Tales on halfway, but Iribaren was well short of the posts with the kick. As Tigers cleared up to halfway, though, the Paris side used the lineout to launch an attack which almost took No8 Yannick Nyanga almost to the tryline, only to lose the ball forward with support on his left. Hamilton cleared up some loose ball just outside the Tigers 22 and, with Smith, in support, took play up to halfway, but could not get the ball back to recycle and Racing had the put-in at a scrum just as they changed two-thirds of their front row. Scrum-half Iribaren created a half-chance a he chipped ahead and loose ball had the Tigers defence chasing back, but play was called back for a knock-on, to the displeasure of the home crowd. Tigers escaped a good chance after 51 minutes after Vakatawa broke a series of tackles on the left, but Toomua won the race for the ball after the chip into the corner and, after checking a series of replays, the referee restarted play with a 22 drop-out for the visitors. Nakarawa had the home crowd in good voice again as he reached over the defence to offload ball on halfway before Hamilton stepped in with a superb interception from Iribaren’s looped pass and Ford cleared back up into French territory. But Tigers couldn’t build from there, with Lambie kicking a penalty for Racing down their right-hand touchline. The whistle went again with Tigers offside after the lineout, and replacement Maxime Machenaud had an immediate impact as he kicked from the 10-metre line for a 22-15 lead just short of the hour mark. Brendon O’Connor and Mathew Tait left the bench on 60 minutes with Williams and Smith making way after a big shift and shortly afterwards quick thinking in the Tigers backline almost created another score for May, with two defenders shutting him out in the left-hand corner just out of reach of the tryline. There was still a chance when Racing gave away a free-kick at a defensive scrum, only for Tigers to then be penalised at the resulting set-piece five metres out. Tigers made changes in the front row as the game entered the final 15 minutes with George McGuigan’s introduction followed by opportunities for Greg Bateman and Pat Cilliers with much of the period spent in the middle third of the pitch. Dan Tuohy replaced Kitchener with eight minutes remaining and his first involvement saw the Tigers scrum win a penalty on the edge of their own 22, with Ford taking play up to halfway with the kick to the left. Tigers kept Racing in their own half and gave Ford the chance to chip away at Racing’s lead when Camille Chat dumped Cilliers with a dangerous tackle. The kick made it 22-18 with 77 minutes gone on the clock. There was time for one more attack from Racing who were chasing a bonus-point try. They were handed a penalty just near halfway and Lambie chipped the kick to the touchline on their right. But Tigers remained tight in defence, making their shots and getting back in line, before Vakatawa’s knock-on brought the game to a close. Tigers are back in Pool 4 action with a home game against Castres Olympique on Saturday, October 21. Kick-off is at 5.30pm and tickets are available now. Tigers welcome Castres Olympique to Welford Road next Saturday for a Round 2 clash in the Champions Cup. See you there! Tigers defended resolutely and had their moments in attack, and have a bonus point to take back to Welford Road for their efforts. Tigerish defence in the closing stages sees Tigers claim a losing bonus-point from their trip to Paris. Racing unable to get that fourth score for their bonus. It's Racing who have the chance to finish strongly as they put a penalty to the Tigers 22m line. Big defensive set required. Toomua show plenty of composure to field the kick-off and find touch on the Racing 10m line. Can Tigers find one last attack? Cilliers is dumped on his back by a big hit in midfield. Referee Lacey says it's only a penalty. 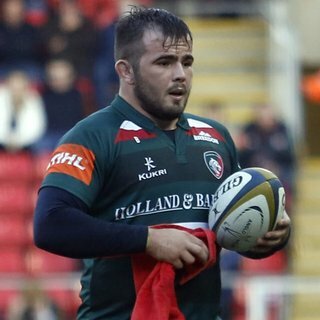 Dan Tuohy is on for Kitchener for his European debut. Tigers win the scrum penalty, meanwhile, and Ford can find touch around halfway. Is that fatigue catching up with the hosts? They had Tigers under pressure around their 22 but Le Roux spills the ball and Leicester have the put-in. ... we're into the final 10 minutes in Paris and still everything to play for. Allez les Tigres! ... Kitchener looks to be taken out in the air, but referee Lacey says the offence is against the Leicester man for holding on as he hits the floor. ... Ford and Toomua combine again to put May in space on the left but Thomas gets across to make a last-ditch tackle. Scrum to Racing on their line. It's Smith's last involvement. He has run himself into the ground and is replaced by Mat Tait. Mike Williams has tackled himself into the ground and is replaced by Brendon O'Connor. Tigers enjoy their first period of possession of this second half. Ford's kick keeps Machenaud honest and his clearance is charged into touch by Smith. Lineout to Racing 10m from their line. Machenaud's first involvement is to land the penalty from 40m to move Racing seven points up. Racing bring on the experienced Maxime Machenaud for Iribaren at scrum-half. George McGuigan on for skipper Tom Youngs, who has led from the front. Play will restart with a Racing lineout 30m from their line. Tigers are having to weather the storm in a sun-drenched Paris. Racing keep piling forward but Tigers defended stoutly. 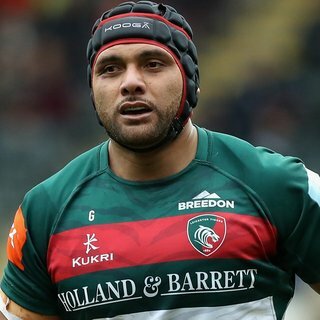 Racing bring on front-row replacements in Chat and Ben Arous. Tigers currently with the same XV that started. Tigers get the free-kick at the resulting scrum for an early engagement. Ford's kick takes play to the 10m line. ... but Iribaren is well short with his kick from close to halfway, Veainu fields and finds touch. The teams are back out in Paris. The second-half is about to get underway, with Racing 92 kicking off. Racing will still have four minutes on the yellow card to negotiate at the start of the second half. Can Tigers make the man advantage count? It's been a red-hot first half in Paris, and the pace of the game and the temperature is bound to tell in the last quarter. A full-bloodied first half that has ebbed and flowed comes to an end. Hamilton at the start of the half and May (who else) at the end score for Tigers, Nakarawa, Le Roux and Thomas in between for the hosts. With half-time approaching, Racing have the scrum on their line to negotiate. After the yellow, Ford went to the corner. 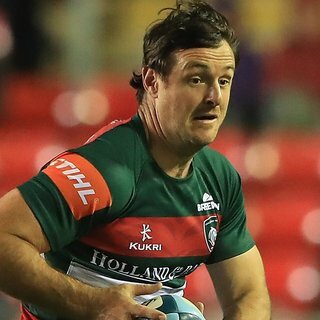 Tigers secured their ball and it was Toomua's brilliant pass that gave May the opportunity to force his way past Pat Lambie and score his seventh in seven games. Ford is unable to add the extras from wide on the left. But what a response by the Tigers to those Racing tries. 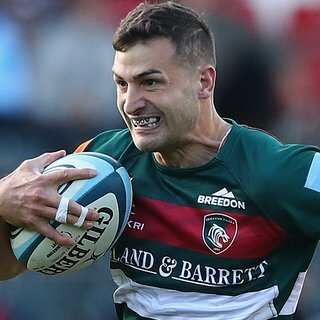 It's that man Jonny May with another brilliant finish to drag Tigers back into the game! Matt Toomua's brilliant pass cuts out Virimi Vakatawa and allows Veainu to stretch his legs. Malouf continues the charge and is tackled high by Vakatawa, who receives a yellow card. Iribaren strikes the post with his conversion and the ball goes wide. Can Tigers respond before half-time? Racing have moved up a couple of gears and punish Tigers with a third try. This time Teddy Thomas the extra man to dot down on the left. There's a suspicion of a knock-on but referee Lacey is satisfied the try is good. Iribaren converts and Racing lead for the first time in the game. Referee Lacey has gone to his TMO. Has he spotted something to rule out the try? Racing make a mess of the restart and Tigers win the penalty. Ford lands his kick to give Leicester a 10-7 lead. The pressure finally tells and Racing have their try. Tigers resisted through five phases off the scrum but eventually the long arms of Leone Nakarawa reached out to score out wide on the right. Great last-ditch defence by the Tigers getting bodies under prop Viliami Afatia to stop him touching down. 5m scrum to Racing. The experienced Joe Rokocoko juggles Ford's angled kick and puts a foot in touch to give Tigers lineout ball in their 22. 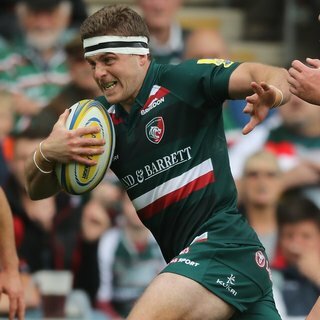 Ben Youngs caught Racing napping with a tap penalty in the Leicester half. Matt Smith made further ground and with Racing struggling to regroup Hamilton breezed through to score next to the posts. And if the Ultras are not enough, the PA man is doing his best to whip the home support up! That's the warm-ups done. The teams are back in the changing rooms for final prep. It is not just Tigers fans cheering on the boys this afternoon. This couple, a Stade Francais fan and a Toulon fan, are backing the Tigers against Racing 92. Leicester Tigers head to Paris and the historic home of the 1924 Olympic Games at the Stade Yves-du-Manoir for the start of the European Champions Cup on Saturday. European Cup finalists in 2016, Racing 92 host the Tigers in the opening fixture in Pool 4 with kick-off at 3.15pm UK time/4.15pm in Paris. 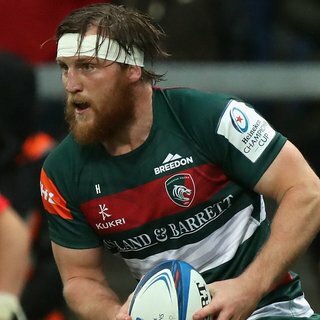 Tigers enter the club’s 21st season of top-flight European competition with a record of 92 victories from their previous 144 fixtures in the competition and with wins in their last four Aviva Premiership matches after defeat in the opening two rounds. Racing, who reached the European Cup Final in 2016 after beating Tigers in the semi-final in Nottingham, were beaten at La Rochelle in the TOP14 last weekend. They have won three and lost four in the first phase of games in their domestic competition, including an opening weekend triumph against Castres Olympique who are also in their European pool and travel to Welford Road in Round 2. Head coach Matt O’Connor said: “Racing have a fantastic squad, they are combative and very dangerous if you’re a bit loose. But what we have done in the last couple of weeks is reinforce the mentality of what it takes to win at the top level. “A lot of the group were over there in Paris last year when we got beaten quite badly and we understand how much better we have to be to get a result. 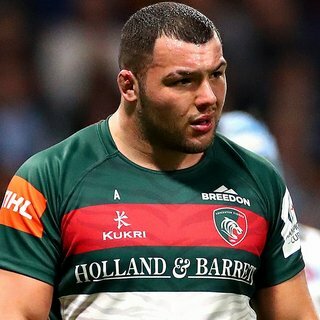 Team news was announced by both camps on Friday lunchtime, with Tigers recalling Graham Kitchener after injury, and welcoming Telusa Veainu and Ben Youngs back after illness led to their withdrawal from the line-up to face London Irish last weekend. Racing include Remi Tales at fly-half with South Africa international Pat Lambie on the bench, though there is no place for Dan Carter. Joe Rokocoko and Juan Imhoff, who both starred in the semi-final between the clubs in 2016, are included in the backline. The clubs have met just three times previously in the European Cup, all in the last two seasons with Racing winning a semi-final in Nottingham 2015/16 and both sides winning their home game in 2016/17. In last season’s meeting in Paris, Tigers were beaten 34-3, the team’s heaviest defeat against TOP 14 opposition. Racing have won three of their last four home games against Premiership opposition after defeat in each of their first four encounters with English sides in the competition. Referee for Saturday is John Lacey from Ireland, assisted by countrymen Stuart Gaffikin and Paul Haycock. Television match official is Peter Fitzgibbon. Tigers will be in the club’s home green kit in Paris on Saturday.